This holiday season we’re thrilled to partner with fellow accessories line Caviar Noir. 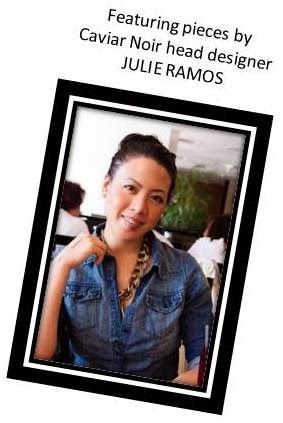 What struck us about the collection and its founder & head designer, Julie Ann Ramos, are the many similarities between us: we (clearly) love bold looks, we’re influenced by our Filipina American backgrounds in all that we do, we have the same affinity for boutique shopping and no matter where we go, we are Jersey girls at heart! But what really convinced us that this is a brand we want to collaborate with is that despite all our similarities, Julie clearly has a different vision for her line’s bold style; she uses a lot of strong, tough metals – though we all have the same end result of ‘making a statement’ in mind, the process in which we get there varies, and we love that. 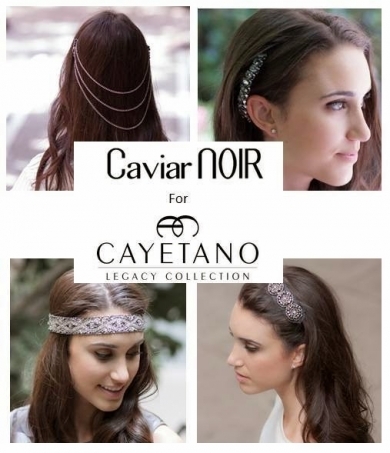 Julie has created a 4-piece Caviar Noir hair accessories capsule line with our Cayetano Legacy Collection audience in mind, available now through the Holiday 2013 season exclusively on www.cayetanolegacy.com. CLC: What inspired you to start your own line? Caviar Noir: It all started with my desire to wear body jewelry and, at the time, body jewelry was not easily available as much as it is today. So I created my own look by attaching chains together. I wore my creation out to events and it was a hit. Many people complimented me and even asked where they could get one. By then I knew there was a need for jewelry like that…. and it was my job to make it easily accessible to everyone. CLC: How would you describe the aesthetic of your pieces? Caviar Noir: Edgy yet elegant. My designs have a dichotomous nature that is designed to mold to the individual and their personal style. 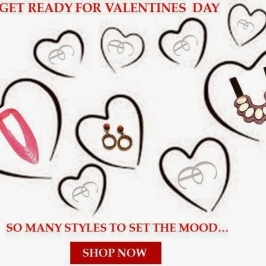 Whether you decide to wear pearls with leather combat boots, or spikes and skulls with a floral dress, each piece possesses a nature to openly express the different sides of your personality. CLC: What are your favorite fashion trends and accessories? Caviar Noir: I am so happy the early 90’s fashion trends are back. Crop tops and A-line skirts…love! I also love the biker chic look. Black and leather is all I ever wear nowadays. I love how we are transitioning into wearing bolder statement jewelry. After all, CLC and Caviar NOIR designs are bold! CLC: Speaking of, what inspired you to create these four capsule pieces with Cayetano Legacy Collection? Caviar Noir: I am in my goth phase now… so many of my newer designs are dark and edgy. I thought it would be an interesting combo to create hair pieces that express the intricate beadwork of CLC’s designs and put a noir spin on it. I am so excited and honored to be doing a collaboration with CLC. I have always been inspired by their ability to be successful women in business. 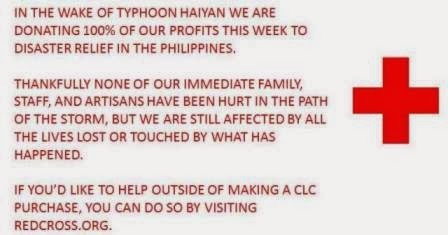 Being a Filipino American, I am proud that CLC has given the world the opportunity to see how beautiful the Philippine culture is. CLC: And lastly, how will you be celebrating the holidays?